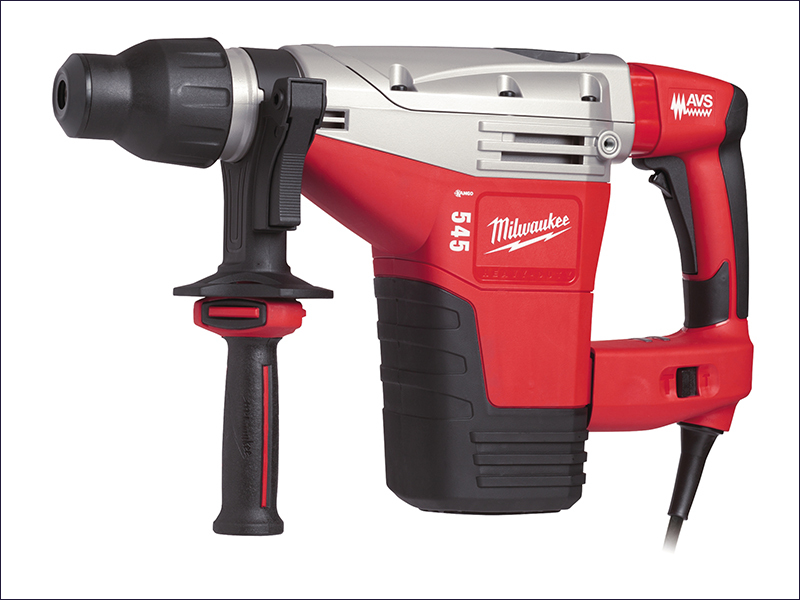 The Milwaukee Kango 545S Combi SDS-Max Breaking Hammer is a 2 mode SDS-Max combi hammer, suitable for hammer drilling and chiseling. Its roto-stop and multi position chisel function give 12 different positions to optimise the working angle. The Kango 545S has a soft hammer mode to reduce blow energy for drilling/chiseling in sensitive materials. It has soft starting for a more precise start, and constant electronics for keeping the speed uniform even under load. A lock on switch provides more comfortable extended use. The breaking hammer comes with an additional handle that can be fixed in 3 different positions. It has AVS (anti-vibration system) and soft-grip handles for additional comfort. A power light informs if electricity flows.